SDCC existed long before movie and TV producers came calling and it will continue long after mainstream pop culture turns away. 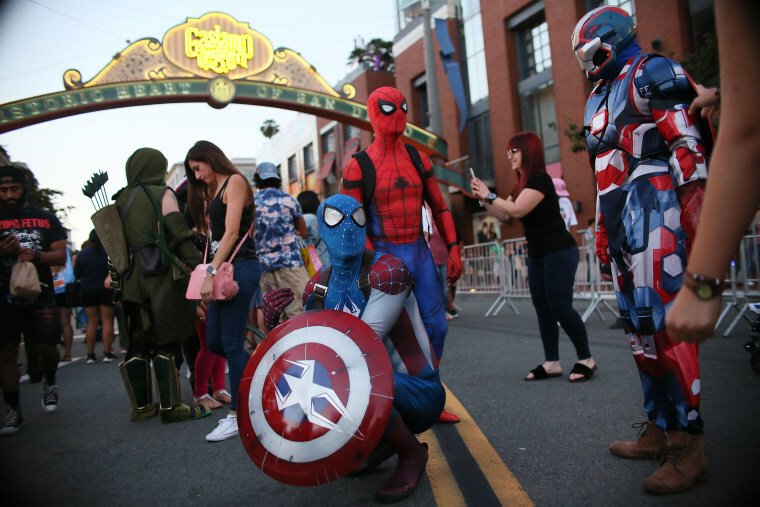 Comic-Con International: San Diego concluded on Sunday with much fanfare. Known as the “granddaddy of annual comic conventions,” San Diego Comic-Con or SDCC (as it’s generally referred to) began in 1970 as the Golden State Comic Book Convention. Still going strong after 48 years, SDCC spent the last decade as a mecca for things which were once the purview of a very specific fan community but are now increasingly considered mainstream entertainment. This year, however, many high-profile mainstream nerd properties sat out the convention. Although this may have disappointed some fans, there’s a silver lining. It’s a reminder that SDCC existed long before the movie and TV producers came calling and it will continue even after pop culture turns away from "nerd" content. Despite the absences, the 2018 program schedule was massive. Indeed, attendance has long since outgrown the massive San Diego Convention Center where the main events are held, and now includes satellite locations including the city’s library, its largest theater and other hotel convention halls. Major shows like “Doctor Who” and “Star Trek” had headlining panels. DC Comics and its extended film universe had high profiles all weekend, offering panels on “Wonder Woman 2” along with “Aquaman” — which it desperately hopes will be hits. Entertainment sites streamed live from the event for those who could not afford to attend. The ascendant nerd pop culture of our era is still a major force to be reckoned with, and those able to capitalize on it are still riding the wave for all it's worth. The ascendant nerd pop culture of our era is still a major force to be reckoned with. But it wasn’t always this way. Up until this century, SDCC was a modest comic convention like any other, with attendance in the 30,000 to 40,000 range. During those years, nerd properties were their own little fiefdoms. “Star Trek” nerds, for instance, went to “Star Trek” conventions. Something like SDCC, which was first and foremost a comic book-focused convention, was meant primarily for those who read comics. But as comic conventions slowly became more generalized, SDCC was perfectly positioned for the sci-fi and fantasy boom at the end of the 1990s. Beginning around 2000, the “Star Wars” prequels, “Lord of the Rings” films and a rapidly growing Marvel movie fan base meant being a nerd suddenly didn’t seem like a thing to be ashamed of anymore. Attendance began spiking at SDCC, as these properties held panels at the event. By 2004, the convention had taken over the entire San Diego Convention Center. By 2006, it began to overtop capacity attendance, leaving some to argue that the nerds had lost their space to Hollywood and the mainstream, maybe for good. Movie and TV studios had moved to take advantage of the captive audience, and SDCC’s proximity to Los Angeles gave it a leg-up over other conventions in places like New York and London. In 2007, Marvel Comics even used the platform for Marvel Studios to market its first release, “Iron Man." By 2015, the year “Star Wars: The Force Awakens” debuted with much fanfare, SDCC was attracting close to 170,000 attendees and had become a standalone yearly event on the entertainment calendar. Did these absences change the nature of SDCC? Perhaps. Comic conventions are becoming victims of their own success. Local events have swelled in attendance this decade, with new ones popping up all the time. Washington D.C., for instance, did not have a comic convention of its own until 2013. This year, Awesome Con celebrated five years with a diverse attendance that hit close to 70,000 people. Why fly across the country when one can attend a smaller and more intimate convention at home? If attendance continues to fall and production houses continue to find new ways to market their films and TV shows, conventions like SDCC may have to contract to keep up with the times. But SDCC was never supposed to be about prestige TV stars or mainstream content. Its original purpose was to celebrate the niche and nerdy, and allow every fanbase a moment to shine. Maybe with a little less star power, they can (again).